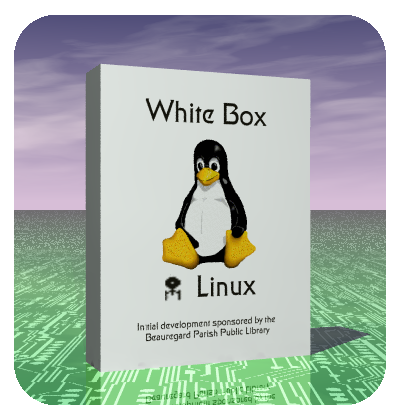 How is WhiteBox Linux updated? Obviously RHN isn't available as an option, so yum has been brought in from Fedora along with a version of up2date that can work with yum. So pick Up2Date Network from the menu and it basically "just works". There are some issues though. There is still an initial panel which refers to rhn, but if you just click past that it doesn't actually try connecting to rhn. Even with multiple well connected mirrors it doesn't always work well. It is recommended that if you have several machines to keep in sync that you make a local mirror and edit /etc/sysconfig/rhn/sources to point the yum lines at it and comment out the yum-mirror lines. Why didn't you build all of the packages for the i686/athlon/etc. Short answer: Because RedHat didn't. WBEL aims to be 100% binary compatible with RHEL which means no tweaking. Longer answer: Because it isn't an issue. Like RedHat, WBEL's packages are built with i686 instruction order optimization but limited to the i386 instruction set. For the bulk of packages (those without a need for mmx, sse, mttr, etc.) this gets pretty much the same performace increase as a full i686 package. For those which benefit from the additional instructions, mostly the kerneli, glibc and openssl, i686/athlon/etc packages are included. Short answer: Because RedHat didn't include it. Long answer: Yum was brought in because it was required to make up2date work without building out a set of up2date servers. It is much easier to get a mirror site for a yumified tree than it would be to get sites to install and maintain an up2date server. But beyond that change, the idea behind WBEL is to be a clone of RHEL. Any additional packages would have to be supported by ME and that is more mission creep than I want. The packages from RHDS and RHCS will probably appear as WBEL rebuilt packages in the next respin. Ok, so where can I get package foo? The fastest way to get 3rd party packages is via up2date. Look at /etc/sysconfig/rhn/sources and read the comments for readymade config lines for several repos. You must be running up2date-4.3.19-1.WB1 or newer and be sure to look for a .rpmnew if you have edited the file in the past. But to give a general answer, anywhere you would get foo for RHEL. If you cannot find a package built specifically for RHEL or WBEL you can try a package for RH9 or Fedora Core since many of the packages in RHEL3 are the exact same packages as appeared in RH9 and RHEL4/WBEL4 are based closely on FC3. If that search also fails try the RH7.3 version or rebuild it from the srpm. Yes, Dag supports yum as well as apt despite the name. Ok, I know several folks have posted to the mailing lists with repositories. This would be a good place to list them if a) you don't mind the possibility of serious traffic and b) you are committed to keeping the URL alive on a medium to longterm basis. Yummified preferred but apt is also ok. When will the next version come out? 2005 was just a bad year, but things are getting back to normal now. The general goal is to put out a new set of ISO images when the errata gets to the point where installing and updating to current become a pain or when new hardware can only be supported by rolling a new set of install media. There is also the factor of older versions. It looks like RHEL3 has hit the end of "full support". If that holds there won't be new hardware support from upstream to worry about and really, the time is coming where there won't be too much demand to install WBEL3 on new machines. After all, RH won't be spinning new images anymore. So it might need one more set of CDs sometime after RH drops their final bug fixes around the end of October. When WBEL4 gets respun again depends on the timing and bulk of the next Updates compared to when RHEL5 drops. Priority will probably go to getting WBEL5 built. Why doesn't WhiteBox include support for apt repositories? Short answer: See question #3 about why any other package isn't included. Long Answer: Having apt and yum would be redundant for the intended purpose, which is to be a transport for up2date. Yes you CAN run yum without up2date but that is just a nice bonus. You can easilly add in a copy of apt from one of the sources mentioned above and have it preconfigured to access that site's repository. You can even configure up2date to use apt as a transport at which point up2date is supposed to be smart enough to solve dependencies across transports, i.e. it will grab a core whitebox package via yum to satisfy a dependency generated by installing a package from an apt repo. This is because the whitebox mirrors lack the additional info apt needs. Bluntly, if you are looking for an pure apt based distribution you are probably looking in the wrong place. Try www.debian.org or www.conectiva.com instead. Or use rsync to create a local mirror and apt-ify that. Nice thing about Free Software, always plenty of options. Redhat offers RHEL in several flavors, AS, ES, WS, PWS, etc. Which one does WhiteBox track? The union set of all of the above. AS and ES are almost identical except for the service level and maximum number of CPUs supported. The two workstation products are identical to each other except for support and differ from the server products only by omitting a couple of server packages such as the dhcp server.